What is SPECIFIC Canine Special Care Endocrine Support dry food? 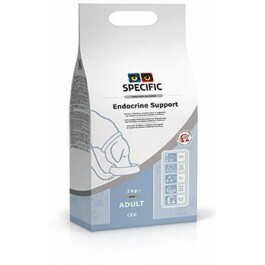 SPECIFIC Endocrine Support is a complete and balanced dry food for adult dogs with high levels of Omega-3 fish oils and increased fibre levels to help manage blood glucose levels and helps provide maximum support for general health. The carbohydrates used are from sources with a low glycaemic index, such as oats and whole wheat. The high levels of Omega-3 fish oils and Omega-6 from borage oil aids in blood pressure management and helps to increase insulin sensitivity. SPECIFIC Endocrine Support also contains high levels of immune system supporting nutrients such as Omega-3, beta-glucans from yeast, alongside increased levels of Zinc and Selenium. The recipe contains moderate energy levels to support optimal weight management. The reduced Sodium and Phosphorus levels aid in reducing workload on the kindeys. This food is suitable for adult dogs aged under 8 years. Also suitable for dogs with diabetes. Suitable for dogs with hyperthyroidism and Cushing's disease. 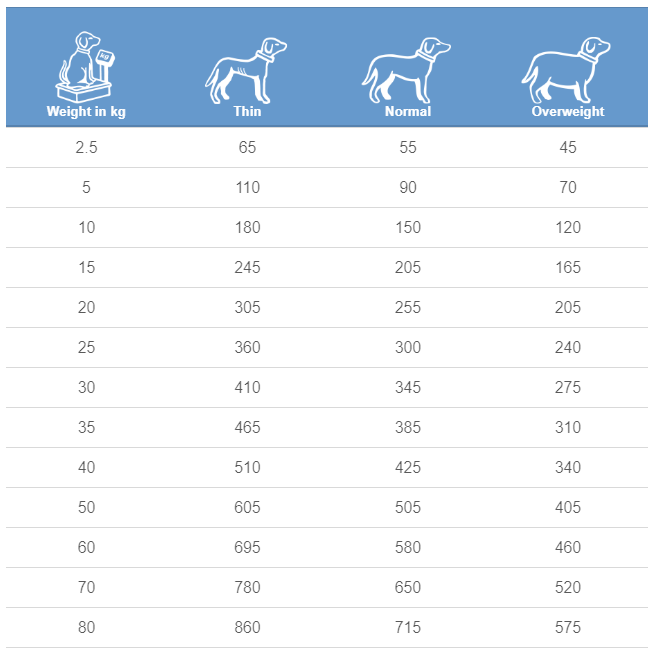 What are the benefits of using SPECIFIC Canine Special Care Endocrine Support dry food? What is in Specific Canine Special Care Endocrine Support dry food? Crude Protein 23.5g, Crude Fat 11.8g, Carbohydrate 43.6g, Crude Fibre 9g, Calcium 0.51g, Phosphorus 0.4g, Sodium 0.23g, Potassium 0.64g, Zinc 16.8mg, Selenium 0.052mg, Starch 25.4g, Total Sugar 1.6g, Taurine 0.19g, L-carnitine 30mg, Vitamin-E 61mg, Omega-3 1.61g, EPA 0.49g, DHA 0.65g, GLA 0.05g, Water 8.5g, Ratio n-3:n-6 1:1. 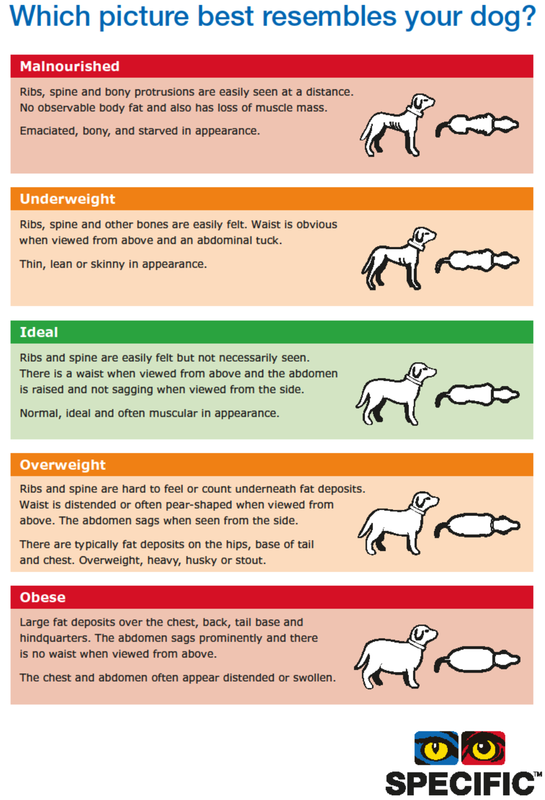 How much SPECIFIC Canine Special Care Endocrine Support dry food should I feed?